Discipleship can feel like a meandering journey-we don't know what we want, and none of the programs offered seem to get us anywhere. Most discipleship resources are designed as mass productions-efficient for touching many, but often failing to see individuals grow in Christ. This is the best of both worlds-an assessment tool for your entire church, combined with an achievable, personalized discipling strategy. 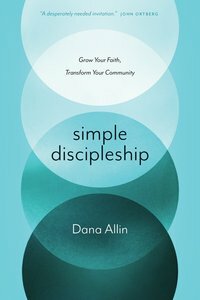 About "Simple Discipleship: Grow Your Faith, Transform Your Community"